In our last blog, we wrote briefly about the uses of Drones in Agriculture. In this article, we will put down the uses of Drones in the Media industry. The use of drones is transforming the media industry – for example, action sequences in movies can now be taken from an aerial view smoothly, journalists can cover news in areas where human entry could be dangerous or prohibited, photographers can click dream pictures of places in nature which may otherwise be inaccessible, etc. 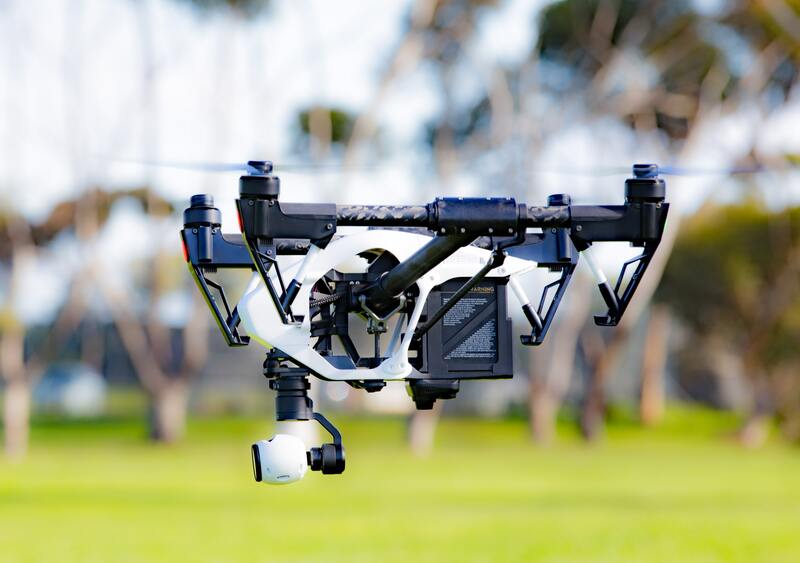 Filming Movies and Television Serials: Cinematographers today, are using the Drone technology to capture those stunning panoramas and actions that you witness sitting in your living room. Movies like the Expendables 3, Transformers: Age of Extinction, The Wolf of Wall Street, and Captain America were shot using drones to provide a real-life experience to the viewers. Drones are being used for filming shots that require adrenalin-filled action sequences, literal birds’ eye views, dramatic panoramas or 360-degree views of subjects. No other filming method can start a sequence inside a building and end up at 400 feet altitude in one uncut shot. Not only do drones allow to build a better mental picture of the layout of the land, but it can also get down to ground level, with smaller shadows and less air disturbance, unlike helicopters. Journalism: Due to the increasing capabilities of drones, their popularity has risen to high levels, particularly in journalism and filming documentaries. The impact of the Syrian Civil War on Aleppo was captured using drone footage by the New York Times. A news story comes to life when the viewers get to see the journalist moving towards the prohibited or dangerous area to cover the action live on the ground and in real time. This not only increases the footage clarity but also the credibility of the news being provided by the channel. Aerial Photography: Drones have propelled the art of photography and videography to fantastic new heights. They have opened up a myriad of possibilities for photographers, videographers, and casual hobbyists alike. The most attractive draw of using a drone for photography is that it allows you to shoot from a higher perspective. This can instantly transform plain old photos into something truly spectacular. Drones have built-in cameras that can rotate and swivel to allow the operator to shoot photos and videos from all sorts of angles. This is especially useful for photographers, as it can provide them with more freedom in creating the perfect photo. Nature and wildlife photographers no longer need to go on perilous treks through jungles and rainforests or hike up steep mountains to take photos. Photojournalists no longer need to place themselves in the middle of disaster areas and war zones. With the help of drones, photographers have the option of documenting subjects and events in inaccessible locations. Hope you now have an idea of how powerful the Drone technology actually is. Its myriad uses are truly astonishing. More to come on these amazing flying contraptions in our subsequent blogs. Stay tuned! Change the game of your business by utilizing drone technology. Reach out to us and we can discuss prospective avenues how we can help in your business. © Copyright 2019. ISO 9001:2015 Certified. All rights reserved.